A women’s empowerment project that incorporates art making and financial stability through the African Refugee Women’s Shelter. 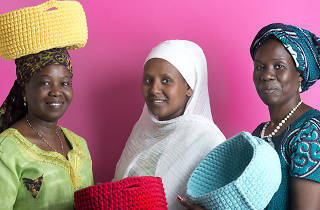 The women hand make vibrantly-colored crocheted baskets and rugs and the actual project was named by the women - Kuchinate means ‘crochet’ in Tigrinia. The African Refugee Women’s Collective has gone through a journey and the women currently work from a quaint studio in south Tel Aviv, which is open to the public for sales and workshops in learning the technique. They also host a series of pop-up shops in different locations throughout the year. There are a few shops in Tel Aviv that stock the baskets and rugs that are made by the women. 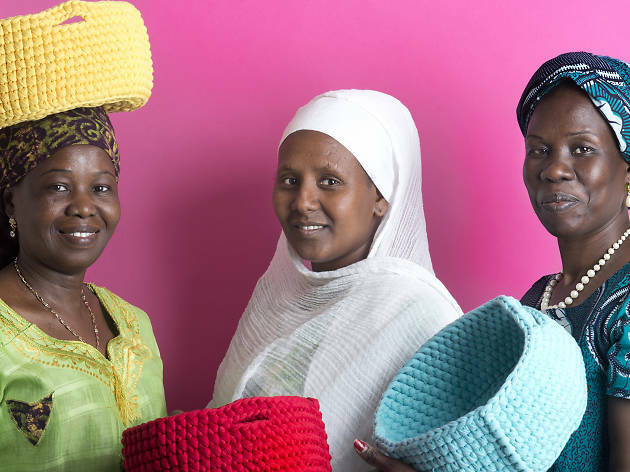 They are beautiful, quality products that the women are proud of and have allowed them not only to learn a skill, but make money from their craft. The project also serves another significant aspect of empowerment: it became a place where women with shared hardship and experience could come together and find support from one another. The shop is a safe place to work, create, eat, laugh, dance, cry, and talk, and all visitors are welcome.